If you met me on the street, you might never guess that I once popped a contact lens right into Kris Kristofferson’s breakfast. And you might not guess how graciously he responded. Me: “I’m sorry! 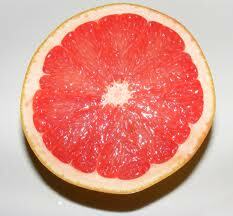 That is my contact lens on your grapefruit! Would you like me to bring you another one?” My finger, a few steps ahead of my brain, had already darted downward as I spoke, plucking the lens from where it had landed, right in the center of the sunny pink half. Kris: “Oh no, that’s fine. I don’t mind.” Smile. Eye-twinkle. 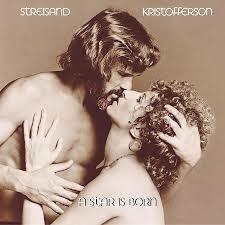 It was 1976, the year he starred with Barbra Streisand in the rock-glamorous remake of A Star is Born. I was working for the summer in the restaurant of a downtown Seattle hotel. Kris was in Seattle for a concert with his then-wife, Rita Coolidge. That summer I served breakfast to Linda Ronstadt, the Doobie Brothers and Kris and Rita. My uniform was a blue polyester pantsuit. I did not see A Star is Born that year, probably because it came to Seattle after I left in the fall to spend my junior year in England. But I knew a gorgeous actor/songwriter/singer when I saw one, even one who chose to sit alone in the back of a casual hotel restaurant, rather than order his grapefruit and cereal from room service. Scenes from our lives, whether we’ve told them a hundred times or never at all, have a way of burbling up when you least expect them. I have repeated the contact lens story many times. I now have to explain to younger people that back then, we wore hard plastic lenses, which frequently popped right out if your eyes were dry, which mine often were after getting up at 4 a.m. for the breakfast shift. And not only did the old hard lenses tend to pop out, they were expensive. I cried the first time I lost one and couldn’t find it, because it would cost 70 dollars to replace. What’s interesting to me now, as a memoir writer, is that I have never written the tale of Kris and the contact lens. I used a version of it once, long ago, in a short story I never finished after my writing group gave it a big thumbs down. I remember one woman called it “popcorn: tasty, but not satisfying.” I knew what she meant, but not what to do about it. I think what was missing, in that short story, was the character that was me. On the outside, I was a friendly, 19-year-old breakfast waitress who needed to earn money for college. On the inside, I felt fat, plain, shy and more convinced every day that I might never ever be attractive to any man. But wait: something important had either just happened, or was about to happen. That very summer, I had my very first boyfriend, who also worked at that very hotel. It was such a big deal. Being told you’re beautiful, by a boy? A VERY big deal for a girl who’s never heard it. So here’s the question: did the grapefruit encounter with Kris happen before or after I began this belated blossoming? Was I the awkward girl still packing the freshman 20 or was I the young woman who had just been told for the first time that she was beautiful? Memory is like that. It gives us juicy morsels, but not always the recipe. Last week, I finally watched A Star is Born for the first time. The film is very mid-70s—plunging necklines, coke spoons and all—but it holds up. Streisand’s voice knocked my socks off. 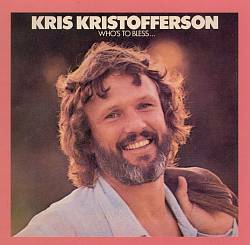 Kristofferson plays a great gorgeous, alcoholic train wreck. And his smile took me right back to the grapefruit incident. Here’s what I remember that might offer a clue to who I was at the time: I was able to smile back. To laugh a little. To do something other than flush bright red and want to die. It wasn’t the most mortifying moment of my life. It was delightful. Kris treated me like a normal person. And I responded like one. And at the time? That was a whole new way of being. I’ll be reading with other authors from Into the Storm: Journeys with Alzheimer’s at Ravenna 3rd Place Books in Seattle on Thursday, May 1st at 7pm. I can’t believe that I have never heard this story! Loved it. I am so going to rent this DVD right now! I have never seen it. Great story. Glad it’s finally written down.